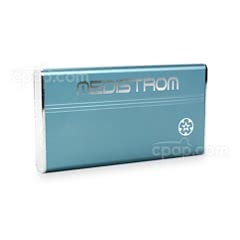 Battery backups in CPAP therapy are used to travel or to run your machine in case of power outages. There are two main options for batteries: integrated battery backs and stand alone batteries. Integrated battery packs attached to your machine, power it for more than 8 hours and travel very well. 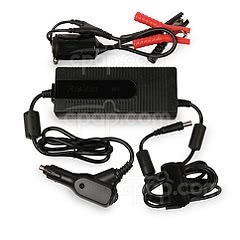 Stand alone battery packs vary in size depending on the life of the battery. Many are travel friendly. Some machines require unique or custom power configurations. Check with us first! What type of power does my CPAP need? 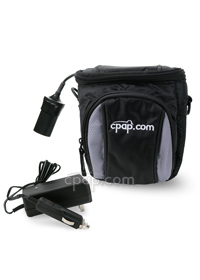 Most CPAP, APAP and BiLevel machines today are designed to operate on both AC and DC voltage. In the United States, the AC current from a wall outlet is 110 volts. Overseas, the AC current is usually 220 or 240 volt. Most batteries produce 12 volt DC current. 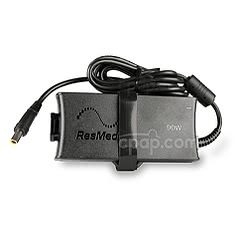 We include information about the power needs and capacities on the CPAP.com pages our products. Please see the "Power" tab on any machine product page for this information. You can also see a summary of the voltage range and whether it is DC capable on our Compare Charts. Will my CPAP operate on DC / battery power? All CPAPs will operate on DC power with the use of an Inverter to change the current from DC to AC before it reaches the machine. However, many will operate on DC power without the need for an inverter, just a power cord that plugs into the CPAP and ends in a cigarette lighter plug. Inverters do require a lot of power. If you need to use an inverter to run your machine on battery power, the inverter will probably take about half the life off the battery. To determine if your CPAP will operate without an inverter, look for a DC outlet on the machine, either at the back or on the side, with a single opening directly in the center. It should be labeled "DC Power" or similar term. You can also review our Compare Charts to see if your machine has a optional DC cable option. What type of battery should I use? For longer battery use, we suggest using a deep-cycle marine battery to power the machine. A deep-cycle marine battery is heavier than the ordinary battery, but it has many advantages. The battery is easily found at auto shops and it provides power to the machine for an extended period of time. For example, a CPAP machine set at 10 cm H20 and charged on a deep-cycle marine battery will usually last three nights before it needs to be recharged. There are small, portable battery packs that will operate a CPAP set at 10cm for at least one night, or about eight hours. 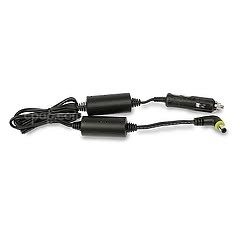 CPAP.com sells full Battery Kits that come with everything needed to run your machine off battery power including the correct cables needed for your machine and a battery. You can find the battery kit for your machine Here. On each battery kit page, you can input your machine and pressure setting to see an estimate battery life for your machine. How do I prepare for power outages with CPAP? There are a lot of back up battery choices out there that can give you peace of mind in case of a power outage. The Transcend Travel CPAP Machine has Battery Options available that can set up as a fail-over, back up battery. Review the 'Power' Tab on the machine page. 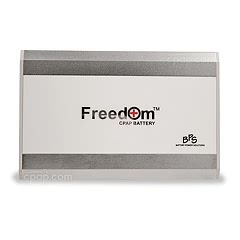 CPAP.com sells Battery Packs to accompany your machine if an integrated battery is not available. Visit CPAPtalk for more advice specific to your needs, or view this past thread on the topic here. Can I use my Heated Humidifier with my machine if I am running on Battery Power? Using a heated humidifier on a 12volt battery power source will significantly reduce the length of time the machine will run. In most cases, usage is reduced to less than half the estimated operational time. CPAPs, APAPs or BiPAPs requiring inverters reduce the power time even more. Please note that some heated humidifiers are not capable of being operated on 12volt battery power sources. For optimum performance of your battery, plan to use your CPAP without the heated humidifier. You may also have the humidifier connected and filled with water, but without the power turned on. This changes a typical heated humidifier into a passive humidifier. We suggest testing the battery setup you are planning to use with your machine in advance. To determine the actual amount of power time you will receive and whether or not heated humidification is required for your comfort, test the battery at home before traveling. How do I dispose of an old or damaged battery? Lithium-ion (Li-Ion) and small sealed lead-acid (SSLA/Pb) batteries should be recycled and/or disposed of in accordance with local regulations. These batteries should not enter the solid waste system since they may have a negative impact on the environment and waste management process. Please contact organizations committed to responsible recycling of batteries. Lead-acid batteries may also be taken to a location where automotive starter batteries are accepted. How Can I Power a CPAP While Camping? There has been a big increase in interest over the years for having a special battery designed to handle the power needs of a CPAP machine. Manufacturers have responded, by creating some great products designed to power a CPAP machine, even off-the-grid. Lithium-ion batteries get their charge from a power outlet; and when fully charged, can power a CPAP machine for a modest amount of time, perhaps even as long as 2 nights. How long a battery lasts depends on the type of machine, if humidification is used, altitude, and pressure setting. It's also important to note that using an AC power inverter will greatly reduce battery run times as well. Higher elevations will result in the machine needing to work harder to get to therapeutic pressure, and as a result the battery drains faster. Humidification is not recommended for campers, as humidification creates a substantial drain on the battery, and can greatly reduce battery run times. What's a deep cycle battery? A deep cycle battery can be purchased from an auto parts store, and is the same kind of battery found in a car. A deep cycle battery uses a chemical reaction to generate electricity, and are heavy and bulky; but they have the advantage of being able to deliver a charge for longer than a Lithium-ion battery. 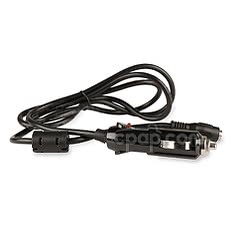 In order to connect a CPAP machine to a deep cycle battery, one should look into using a AC power inverter or a DC cable with a cigarette lighter attachment (if a cigarette lighter plug is built into the battery). 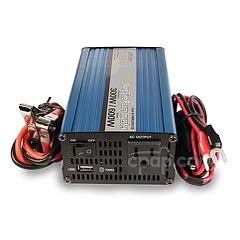 Keep in mind, an AC power inverter is going to consume a lot of power while powering the machine and the use of an AC power inverter will greatly impact battery run times. Many campsites around the country offer electricity as an option for campers. In most cases, a person can set up a tent and find a plug nearby and power the CPAP machine with an extension cord. For most campers, this is the easiest and cheapest option to power a CPAP machine during a camping trip. Not all batteries will work with all machines. Each machine has different power needs, which is why it's important to verify compatibility with a particular brand of battery before purchasing. Some machines require using an inverter (a device used to convert DC power to AC current); some batteries have the correct connector to hook into a specific machine; with others, the right connector is sold separately. It just depends on the machine and the battery. How much UPS do I need? 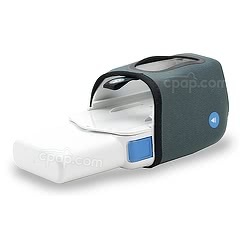 Portable CPAP batteries can power a machine for about eight hours before it must be recharged. If your machine does not have the ability to directly hook up to a battery or dc power source, you can use an inverter or converter depending on your machine. 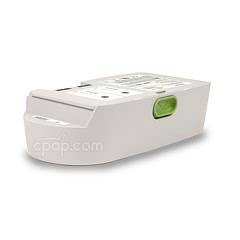 A typical rechargeable CPAP battery can power a CPAP machine for eight hours on average. If your battery isn't holding the charge it should, it may be time to change the cell.